Basic Price Includes: -Basic Doll -Eyes (random) -Birth Card -Packaging Fullset Includes: Doll with face-up, eyes as pictures, clothes, shoes, wig. Measurements: Eyes : 18mm Height: 42cm Head size: 22.5cm Neck size: 9.3cm Shoulder width: 9.5cm Arm length: 12.5c.. Basic Price Includes: -Basic Doll -Eyes (random) -Birth Card -Packaging Fullset Includes: Basic-set, face-up, body blushing, clothes, wig. 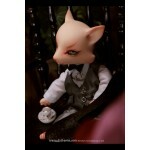 Measurements: Eyes : 10mm Height (with head):11.5cm Height (without head):7.8cm Head size: 13cm Neck size: 3cm Shoulder wi.. Basic Price Includes: -Basic Doll -Eyes (random) -Birth Card -Packaging Fullset Includes: Basic-set, face-up, body blushing, clothes, wig. Measurements: Eyes : 10mm Height (with head):11.5cm Height (without head):7.8cm Head size: 12cm Neck size: 3cm Shoulder wi.. Basic Price Includes: -Basic Doll -Eyes (random) -Birth Card -Packaging Fullset Includes: Basic-set, Face-up, Body make up, Wing make up, Wig, Outfit, Hair band,Eyes(6mm). 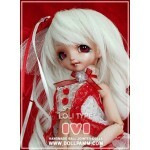 Measurements: Eyes : 6mm Height (Including head):19.5cm Height (without head):17cm Head size:.. Basic Price Includes: -Basic Doll -Eyes (random) -Birth Card -Packaging Fullset Includes: Basic-set, face-up, clothes, shoes, wig. Measurements: Eyes : 14mm Height (including head):16cm Head size: 14.5cm Neck size: 4.3cm Shoulder width: 3cm Arm length: 4cm Ch.. 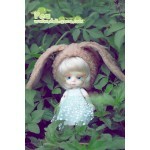 Basic Price Includes: -Basic Doll -Eyes (random) -Birth Card -Packaging Fullset Includes: Basic-set, face-up, clothes. Measurements: Eyes : 14mm Height :16cm .. Basic Price Includes: -Basic Doll -Eyes (random) -Birth Card -Packaging Measurements: Eyes : 14mm Height (including head):18cm ..